Discussion in 'New Member Introductions & Site Assistance' started by sandfreak, Aug 17, 2011. I cant figure out how to change my signature now that the site has been redesigned...help! 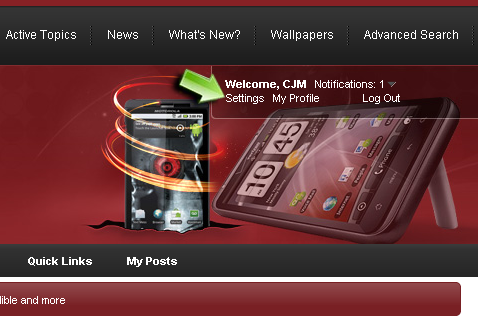 click on your username, go to the "about me" section and their is a customize profile tab. 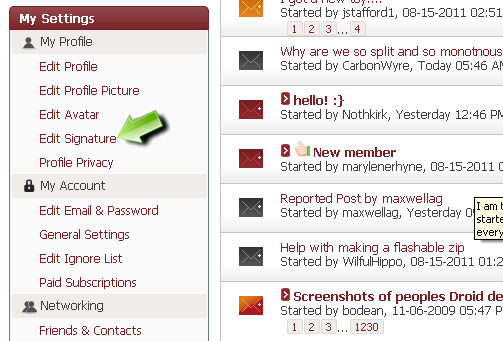 Its going to be under the forum actions option at the top! Like X_TAC said, its at the top. Is this for desk top or mobile? It looks different...... I must have missed something, haven't been a member for very long. Sent from My Samsung Fasinate! That's for desktop. Do you want one for the app? Thanks! I will look for the desktop version. I have the mobile. I really do enjoy reading the forums, very educational. Open the app and hit the menu button on the phone to bring up the settings. Then scroll down to the Signatures options. Select Tapatalk Signature then select Customize. Then back out and go to the Customize options and put your signature there.